Congratulations on your engagement and welcome to our wedding photography section. 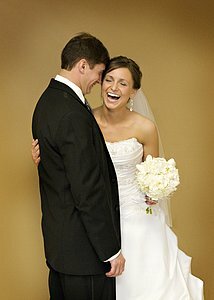 As I am sure you have found, in your search for a wedding photographer, there is enough information out there to make your head spin. Below you will find our list of packages. Feel free to customize anything to your liking so you know you're getting exactly what you want. Everything is full copyright photo released so you can print, and is also lifetime archived so your covered if you lose your images. They were young, energetic people who were on top of everything. I had many people come up to me after the wedding, and ask where I found them.